The long Canadian winter can make spring seem like it’s light years away. But before you know it, the days will be longer, the summer clothes will be pulled out of storage, and those to-do outdoor home improvement projects will be calling for your attention. That’s why now is the ideal time to take on some winter home renovations, on either a large or small scale. And when you’ve been cooped up inside for most of the winter, refreshing and updating the interior of your house can feel extra fulfilling. What are the benefits of doing winter home renovations? 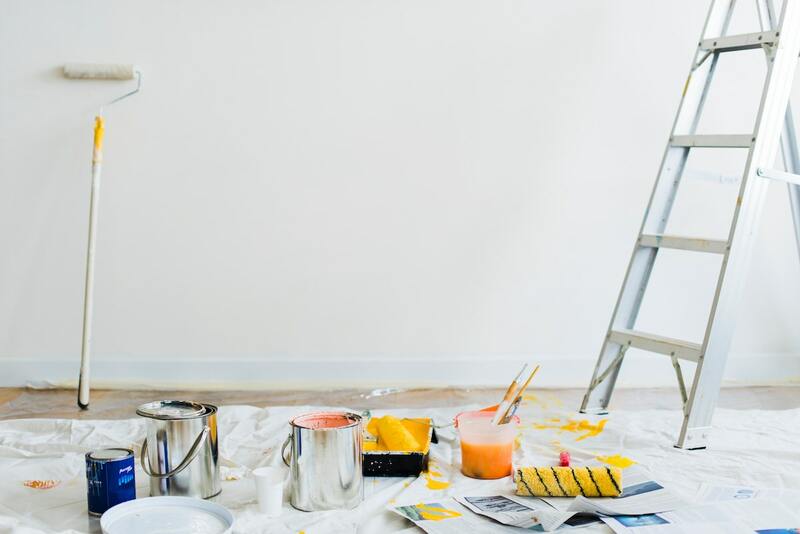 Spring and summer are the peak home renovation seasons, so the basic law of supply and demand makes tackling some home renovations during the winter highly practical. Here are seven suggestions for some winter home renovations to get done before the tulips start blooming. If you live in a cold climate, getting a winter garage makeover might not seem feasible. A lot of homeowners seem to be under the mistaken impression that a garage makeover can’t even happen during the winter. This is simply untrue. Interior home improvement work can occur in a garage year-round, regardless of what climate you live in. 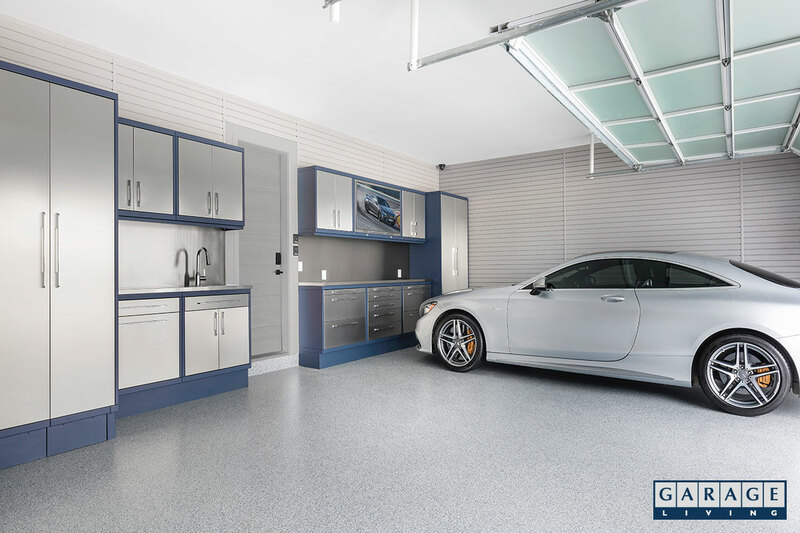 A big part of any complete garage makeover is the application of a new floor coating, which is perhaps why there’s so much confusion about getting a winter garage renovation. 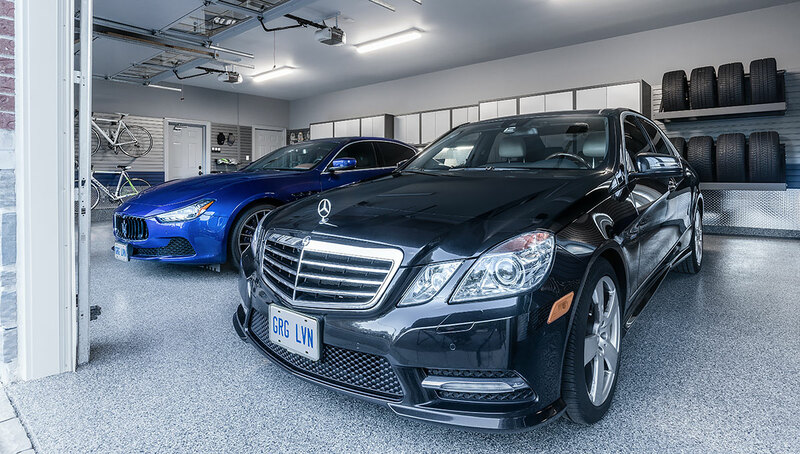 Choose a garage makeover specialist that uses polyaspartic floor coatings, which allows flooring applications to be done even in frigid conditions (unlike epoxy floor coatings). Talk to the trusted professionals at Garage Living for more information on making upgrades to your garage before spring arrives. In most houses, garages have become the primary entry and exit point for families. More homeowners are seeing the value in making their garage an attractive, functional extension of their living space. Like the garage, closets are hotspots for home clutter. Owning too many things is naturally the main reason excess clutter becomes a problem. Another big reason clutter can become unmanageable, however, is that there’s a lack of an efficient, smart storage system to make optimal use of your available storage space. A remodel of your closet can make it easier to keep your closet space organized. Have a professional evaluate your closet space so they can create a more functional wardrobe storage area where everything has its place. Establishing a proper storage space for all of your items will eliminate the time you waste looking for things and keep the closet looking much tidier. From improving a smaller reach-in closet with a closet organizer, to thinking bigger with this home improvement project and adding a large walk-in closet/dressing room, you’ll appreciate what a closet remodel can do for your home. Spacious walk-in closets are a good investment, too. According to a survey of 3,000 homebuyers for a recent Canadian Home Builders Association study, a walk-in closet was the home feature they wanted the most. You might not consider moving furniture around, changing light fixtures, or some of the following relatively minor tasks to be renovations, but they are. Think of them as just smaller “cosmetic renovations”. Applying one of the fundamental elements of feng shui and simply rearranging the furniture in a space can dramatically alter the flow and energy of a room. Changing the placements of wall decorations in your living areas can also help to modify a room’s dynamics. Update your lighting fixtures, trim, or crown moulding to add a stylish, elegant touch to a room. You can also take things from stale to fresh in a room by reupholstering your furniture or replacing rugs, carpeting, or drapes as part of your winter remodelling project. Another cosmetic renovation that’s perfect for doing during the winter is painting. Any room’s look and feel can be significantly changed just by slapping a fresh new coat of paint on the walls. Updating a room’s wall and trim colours with a different colour can give the space a much-needed décor refresh. It’s also one of most inexpensive winter home renovations you can do. Whether you’re lightening up a room that’s too dark or getting adventurous with an accent wall, the wealth of paint varieties and shades available makes any room a literal blank canvas of endless creative possibilities. A winter interior painting project might bring up temperature-related concerns and issues about ventilating the paint fumes. Just make sure the temperature in the room you’re painting is at least 15°C and you should be fine. As a matter of fact, winter can be a better time to paint than in the summer, when heat and humidity can cause paints to take longer to dry. Unfortunately, you’ll need to open some windows in order to ventilate a painted room. That’s obviously not ideal when it’s cold outside, but it’s an unavoidable one-time extra utility expense you’ll have to live with. Use some fans to get more air moving in the rooms you’re airing out. Another incentive to repaint is that you can apply a paint that has no VOCs (volatile organic compounds). VOCs are an organic compound gas found in many consumer products. The gasses (typically in very small amounts) are slowly released over time, so using a zero VOC or low VOC paint is a clearly healthier option for your home. A spare room in your house can be a lot more useful than merely being used as a dumping area for your home’s odds and ends. Make that space work harder for you by transforming it into something that allows you to get more functionality out of your home. That walk-in closet you’ve always wanted? A spare room is the perfect spot for it. Another great spare room idea is to turn it into a guest room. Having a dedicated guest room simplifies things when relatives or friends stay overnight and you can create a space that’s more comfortable for your guests. To save space, add a practical pulldown wall bed (also known as a Murphy bed) to the room’s design. 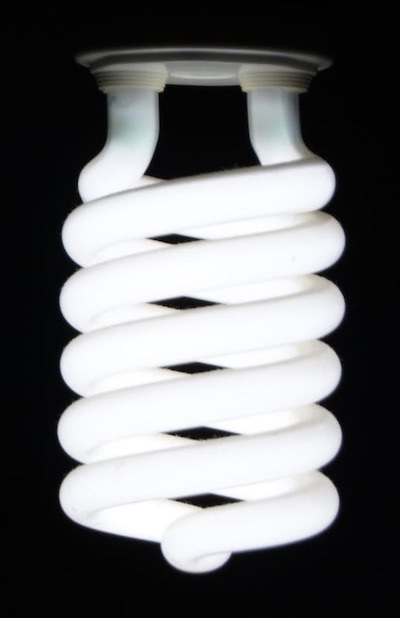 If you’re looking for other winter home renovations that add value to a home, home energy efficiency upgrades are a smart choice. You’ll start recouping your expenses for this project right away with monthly savings on your utility bills and benefit from these upgrades years from now. That’s because the 2017 Canadian Homebuyer Preference National Study and that Canadian Home Builders Association study cite excellent energy efficiency as another one of the top selling features for homebuyers. Getting a home energy audit from a professional can help you pinpoint the areas in your home that can benefit most from some eco-conscious upgrades. Addressing inadequacies in your home’s wall, ceiling, and attic insulation can admittedly be an expensive undertaking, but will produce considerable improvements in how efficiently your house manages its heat retention. Upgrading your furnace or central air conditioner to more energy efficient models will also have a noticeable positive effect on your heating and cooling bills. A finished basement also adds value to your home and is considered to have a good-to-excellent return on investment of anywhere from 70-80%. Updating your basement’s décor and making the space more comfortable is worth it when you consider the many uses a finished basement can have for a family. You can create extra play space for your kids, design a room for enjoying your media, or create a more stylish, hospitable space for hosting social gatherings. Setting up a private area for exercising or adding an extra bathroom are other worthy basement upgrade ideas, as are adding an extra bedroom or guest room. Adding an extra basement bedroom is smarter than converting part of your garage into a living space (which can make your home harder to sell later on). If you do decide to make a basement renovation one of the winter home renovations you plan to tackle, Organized Interiors can help. There’s never a shortage of work to do on your home’s exterior and the rest of your property when spring arrives. Start on one of these interior winter home renovations now so you’ll be able to focus squarely on what the outside of your home needs during the warmer months of the year. Schedule a free in-home design consultation with Organized Interiors to get some of the home improvement projects listed here rolling. In the hustle and bustle of a busy lifestyle, we easily forget that a life worth living is a life worth organizing. One important part of your home’s organization includes having enough space for storing your clothes. Perhaps you have very little space for clothes storage and getting dressed. Or perhaps a spare room in your home is just waiting to be transformed into your own personal space, where dressing becomes no ordinary ritual. To dress in clean, crisp clothes that can easily breathe in an airy and well-designed dressing room, well that is an experience we are all worthy of. When Gloria Dilecce decided to convert her spare room into a dressing room, she wanted more than a walk-in closet for her clothes and shoes. She wanted a dream dressing room, her very own sanctuary where she could pamper herself while dressing daily for work and for special occasions. You can take charge of the manner in which you dress by turning a spare room into a dressing room (also known as a large walk-in closet). Dressing and grooming with ease in the right environment can make all the difference between how the rest world views you. Imagine how exhilarating it would be to have all of your clothes and valuables in one place, where dressing is a pleasurable experience rather than a chore. A dressing room can be designed to be an elegant and soothing space where life slows down just enough for you to unwind. It can be a place with plenty of space and light, creating the ideal, calming environment for choosing the perfect outfit. How many times has a lack of storage and preparation space lead to the realization (long after you’ve left the house) that you’ve committed a fashion faux pas? This might include noticing that the blouse you thought was white is actually a creamier shade. Perhaps it’s mistakenly pairing navy blue socks with your black pants. Then, of course, there’s the added hassle of touching up pants, jackets, and shirts before you wear them because they lack the desired crispness, due to being crowded into a small storage space. A spare room in your home represents an underutilized and valuable space, full of untapped potential. In the hands of a skilled design professional, your dream dressing room can be carefully molded into reality. Imagine sitting on a bench comfortably while you are putting your socks, stockings, and shoes on. The space can include a full-length mirror with proper reflective lighting, either from natural light from a window or by installing brighter light fixtures. Now imagine pullout shelves lined with shoes where you can mix and match your clothes quickly and efficiently, without having to trek all over your home searching for something. Adding a personal touch to your sanctuary with inspiring pictures and words of inspiration and motivation can also help you get your day started on a positive note. Whether you are in the fashion industry like Gloria, or you just want to be able to see everything at a glance, these convenient features add to the comfort of dressing. Soon after first using her dressing room, Gloria came to realize that it made getting dressed so much easier and more enjoyable. It became a routine that she truly appreciates. “Why not pamper myself? It was well worth the time and expense. My clothes appreciate it just as much,” says Gloria. Organized Interiors leaves no stone unturned and no detail is too small. Do you require a locked document drawer? Done. 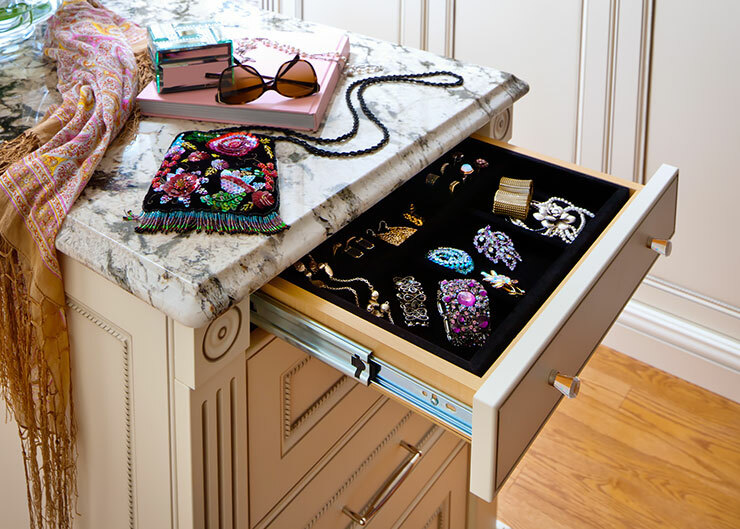 How about compartments for jewelry so nothing is tangled and messy? Done. How about using clever closet accessories to accommodate scarves, ties, and belts? Easily done. A dressing room can be as stylish or as simple as you like with unique features that can make this space the envy of all your friends and family. 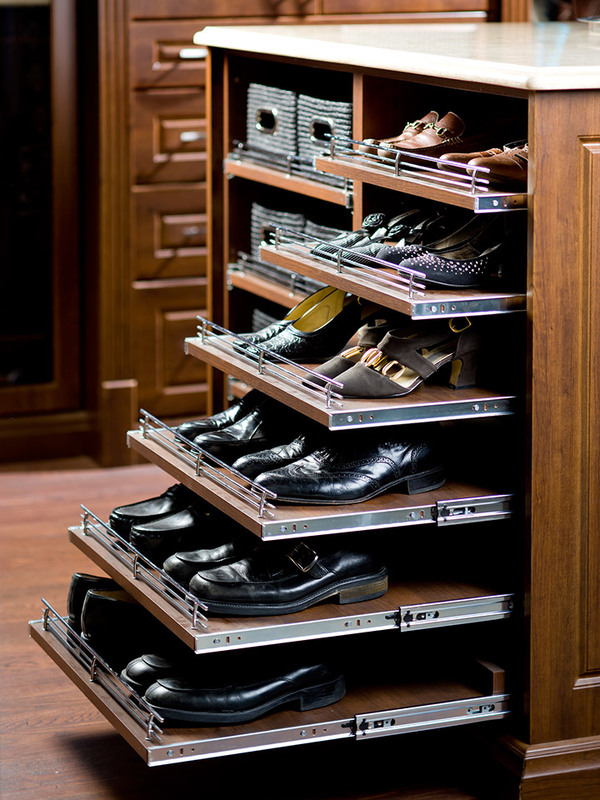 A combination of features like shelving, pullout shoe racks, and hanging bars for your finest garments of all sizes are options that are sure to enhance your dressing experience. “All my clothes and shoes are so visible. It’s the complete solution to all my morning problems,” says Gloria. The benefits of having a special place for dressing, which helps us look our best, is being increasingly recognized by homeowners and home improvement professionals. A dressing room is synonymous with luxury, elegance, and comfort. Organized Interiors’ innovative and creative ideas and workmanship, coupled with every individual’s distinct style, makes every dream closet design unique. “The experience with Organized Interiors was phenomenal from start to finish. It has made staying organized a lot easier and a dream come true,” says Gloria. Your dressing room sanctuary awaits! Does turning your empty spare room into an elegant dressing room that allows for more storage room and a cozy, private area for getting dressed sound like a no-brainer? Discover the same joy that Gloria found with her dressing room by scheduling a free in-home design consultation with us today! 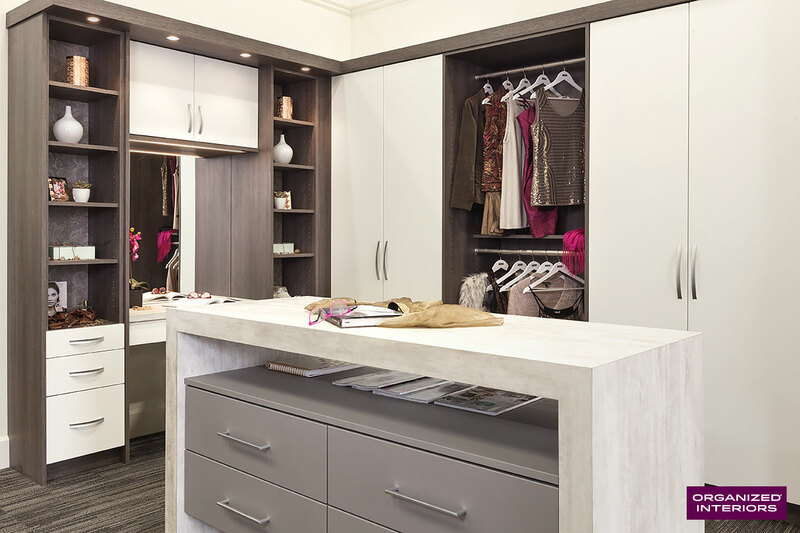 A dressing room (also known as a large walk-in closet) offers many benefits to homeowners. 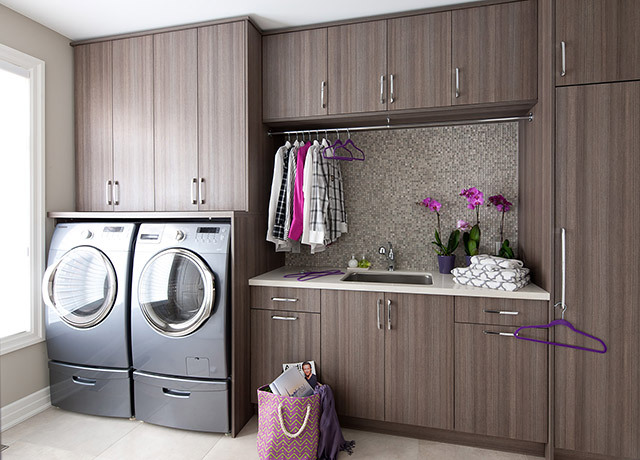 One of the biggest benefits is the extra closet and storage space they provide. But a lack of smart dressing room organization and storage solutions means you’re not truly maximizing your dressing room’s potential. Inadequate organization systems (and obviously an absence or shortage of them) will negate the benefits of that extra space quickly. Before you know it, you’ll just have one more area of your home that’s been overrun by clutter. Use these seven tips that make dressing room organization easy to achieve and maintain. It’s an old and simple organization solution that works: start by reducing the amount of clothing and belongings you own. Is it still fashionable and does it reflect who you are at this moment? Have you worn it once in the past year? If the answer to any of these questions is a “no”, then it’s clear that parting ways with the item of clothing has more positives than negatives for you. You’ll gain some closet space and your local charity will appreciate the donation. Now that you’ve made it a little easier to achieve your dressing room organization goals, evaluate the effectiveness of your current dressing room setup. Is your closet organization system woefully outdated? Are you getting the most out of your storage space? 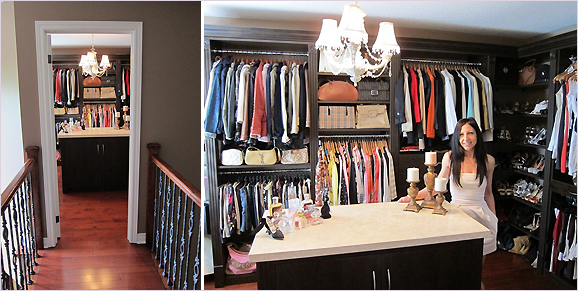 Do you have helpful closet accessories, such as a shoe rack or a sliding belt rack? Once again, if you’re answering “no” to any of these questions, then there’s lots of room for improvement when it comes to your dressing room’s setup. We can completely transform your dressing room (or create a dressing room from a spare bedroom) with our Monogram closet system. It’s specifically designed for large walk-in closets and dressing rooms and features custom-crafted cabinetry with rich finishes that will maximize your storage space. You’ll have lots of flexibility in terms of the colours, styles, finishes, and accessories you’d prefer. We also have the largest selection of decorative hardware in the Greater Toronto Area. With a larger closet space, you can add elegant, yet functional, design touches that enhance the looks and comfort level in your dressing room. Choosing the best dressing room organization solutions is more than half the battle in your efforts to keep this area clutter-free. Their smart designs mean they’ll actually do most of the organization work for you. Going forward, you’ll now be equipped with the best storage and organization solutions available, so keeping your dressing room and closets tidy will be noticeably easier. If your dressing room or large walk-in closet wasn’t designed by closet organization professionals, then there’s undoubtedly ways to make these spaces better. We have more than 40 years of custom closet organization expertise, so we know how to get the most out of any closet space. Our design experts have exciting ideas that can make your existing dressing room a whole new space, or they can transform one of your spare rooms into a dressing room that makes your home more functional. Schedule your free in-home consultation with one of our designers today. Together, we’ll reach the high standard of dressing room organization that you’ve always wanted.